My sister and I often joke that we have a special compartment in our tummies, that is earmarked for dessert- no matter what else we have eaten! In fact, I'm so bad that I look at the dessert menu, before I decide what else to eat (what's life without dessert?). I was kind of feeling that way about the subject of today's blog. I mean you can hardly turn around, without being spoken to about 'purpose'. Have you found yours? How do you find it? The joys of purpose. Sometimes it feels like we've eaten so much on the subject of purpose, that we are literally full to bursting. Or as another wonderful woman says eaten, until our sides hurt! But as I checked my 'hurting sides', I discovered my special compartment and decided to offer up some dessert. My first taster is that there is always more. When we are asked about an issue or when we say something, it's rare that we don't have anything more to say on the subject. Most of the time, we give the abridged or very abridged version- depending on who we're talking to. It's the same with purpose. When we start off thinking about our purpose, we should always ask ourselves the question: and what else? When we ask that question, we are giving ourselves permission to stop censoring ourselves, or limiting the size of our dream. Frankly, if our purpose doesn't initially scare us witless, then I would question, whether we've even discovered it. Recently, I was challenged by 2 fantastic women about my purpose and had to ask myself the "and what else" question. As I thought about it, I realised that my purpose is more than coaching women and girls in domestic abuse situations. My life's work is about helping women and girls to discover their intrinsic value and purpose, so that they can be the best that they can be. Working with women dealing with abuse is just one facet of that. My next point follows on from that and it is that you should allow your purpose to morph. I am a person who likes order. Some might say I like order a little too much (you know who you are). I like to have a structure and work within that structure. Deviation disorients me. However, I'm learning that trying to contain purpose is like trying to contain oil- not really possible. And that is both the joy and pain of allowing your purpose to morph. It can be very very scary, but also very very exhilarating to discover that your purpose is so much more than you thought. My final point is allow your purpose to morph, but don't let it get away from you. I often joke that I have everything in my handbag, necessary to flee the country at short notice, if I have to. However, that makes for one heavy handbag. My point? Just because you are allowing your purpose to morph, doesn't mean you should shoehorn every passing fad or good idea into your purpose. You need to be able to spot the fine line between morphing and out of control. You may end up on the wrong path a few times, but as long as you keep checking back about what it is you've set out to do, you'll find your way back. One way to do this is to have some people, who can be trusted to tell you, when you've lost the plot. As I end this week, I encourage you to find space for a bit more on purpose. Do you know what your purpose is? Great, is there more? Do you need to allow it to morph? Or have you lost your focus and need to rein it back in? Wherever you are, coaching can help you to get some clarity. Contact us on + 234 706 335 0864 or at the website, for your free, 30 minute consultation. How many of us have ended up in a situation and thought 'this is sooo not what I planned'. Sometimes, we imagine that if we want something hard enough, we'll end up getting it. I'd like to be about 10 pounds lighter, but frankly without working on my diet and exercise, that's a bit of a forlorn hope! This week's post was inspired by something I heard a week ago- "we don't reproduce what we want, we reproduce who we are". When I heard that, I thought "word". For those of you who read my blogs regularly, you know all inspiration is gratefully received, especially when there is a deadline looming. On a more serious note though, that phrase really made me think. It made me think about the importance of making sure we are who we want to be. The importance of being intentional about the changes we need to make in our lives. My first question is, what do you say, without saying a word? I'm talking here about character. The truth is, we're always saying something, so we'd better make sure, it's what we want to say. I daresay we've all been guilty one time or another of using the right words, but not following through. Words like 'accountability', 'integrity', 'honesty', 'transparency'. Mission statements are awash, with these words and more, but when it comes down to it, how many of us are actually walking it out? How many of us think about integrity when it comes to keeping appointments? When we break appointments or turn up late, what we're really saying is 'my time is more important than yours, so you'll just have to wait'. If integrity is about keeping our word, then it's got to be true for the 'small' things as well as the 'big' things. What about those little white lies we tell, to get ourselves out of an uncomfortable situation? 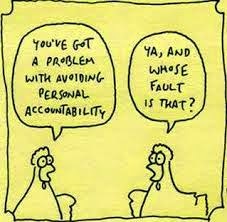 If we're really going to stand for accountability and honesty, then we are going to have to own our behaviour, take responsibility for our actions and make amends when we need to. Character isn't something you just wheel out, when you need to make a good impression. Character is who you are, day in day out, even when no-one seems to be looking. Truthfully, character is going to cost you something. The question is: are you prepared to pay? My next question is do you have what it takes? In other words, are you competent at what you want to reproduce?In order to become skilled at something, we need to practice and keep practicing. Raw talent is exactly that- raw. When you see anyone being excellent in what they do, you must recognise that they have practiced their socks off to get there. Great sports people, singers, artisans, professionals. They became great by honing their raw talent, until it became a skill. Persistence and sacrifice are just two of the things we need to do in order to become competent. What is it you want to become competent at? Whatever it is, you can always find a way to do it. Read a book (but remember to practice what you've read), go on a course, understudy someone, become an apprentice. The options are limitless, but as you can see there is a cost involved in becoming competent. Are you willing to pay? Lastly, do you think about what you're thinking about? If you answered no, then I'd say that today is a good day to start. Truthfully, you can't rise any higher than your thoughts. We are what we think. So, in order to make sure we're reproducing what we want to, we need to think 'right' thoughts. I'm not talking about positive thinking here. I'm talking about thinking things through. Examining our mindsets, in order to do away with limiting beliefs, negative mindsets and mindsets that have outlived their usefulness. Mindsets and beliefs that served us well for a particular season in our lives, may need to be discarded now, because, they are holding us back, instead of protecting or moving us forward. You can't change your life, without first changing your mind. As I end, I ask a few more questions, of myself as well as you: Who are you? Are you happy with who you are? What's it going to take for you to become that person you've always wanted to be? What's stopping you? If you'd like some help, answering any of those questions, then give me a call on +234 706 335 0864 or contact me through the website.